Is a Landlord Liable for Your Injuries? Landlord liability doesn’t just apply to injuries that occur in residential properties. If you’ve been hurt in a store, hotel, restaurant, nightclub, theme park, stadium, hospital, school, parking garage or any other commercial facility, you may have a claim against the owner of that property. Contact landlord liability attorneys at Associates and Bruce L. Scheiner, Attorneys for the Injured, for a free evaluation of your case. In Florida, as in most other states, the owner of a property has a duty to maintain his or her premises in a manner that ensures that visitors or tenants on the property will be safe. That may include making repairs, removing obstacles, or even warning a tenant or visitor about any potential dangers that might be encountered on the property. If you or someone you care about has been injured or killed because a landlord failed to maintain property safely, you may be able to recover damages. At Associates and Bruce L. Scheiner, Attorneys for the Injured, we have extensive experience representing individuals who have been hurt on property that was not properly maintained or because landlords failed to provide the security measures needed to ensure safe conditions on their premises. We know that injuries sustained in slip-and-fall accidents are those most often associated with a landlord’s failure to safely maintain his or her premises. Government figures confirm that some 8.7 million people are hurt in falls nationwide every year. In fact, falls are the leading cause of unintentional injuries for nearly every age group in the country. The personal injury and wrongful death attorneys at Associates and Bruce L. Scheiner know that fall-related injuries can be potentially devastating. If you fall and hit your head, traumatic brain injury can leave you with neurological problems. It can cause you to suffer life-altering brain damage that may make it difficult for you to walk, talk, understand language, or engage in other activities you used to take for granted. If you hurt your back when you fall, you could be facing permanent damage from a spinal cord injury. We know that the Centers for Disease Control and Prevention attribute 22% of such serious injuries to falls, and that as many as 55 people per day across the U.S. become spinal cord injury victims. At Associates and Bruce L. Scheiner, Attorneys for the Injured, our Naples and Cape Coral personal injury lawyers know that falls are only one type of hazard you may face if a landlord doesn’t fulfill his or her responsibilities. You could be hurt by harmful substances found on a property, or you might be accosted by a criminal and fall victim to a violent assault if a property owner hasn’t taken steps to ensure adequate security. You could visit a store and be struck by an item that falls from a display that was improperly designed. Or your child could be at risk for drowning because a landlord did not erect a barrier to an apartment property’s swimming pool. Associates and Bruce L. Scheiner began as a family firm and remains so today. Florida families recognize that bond and honor us with their trust when a loved one has been hurt or taken from them because of the carelessness or negligence of another. We have the legal knowledge and experience injury victims need in order to recover the compensation they deserve when medical expenses and lost income leaves them in need. If you’ve been injured because a landlord failed to maintain property in a safe fashion or didn’t warn you of a potential hazard on his or her premises, you may be entitled to file a claim for damages. Call the nearest office of Associates and Bruce L. Scheiner, Attorneys for the Injured, to ask for a free evaluation of your case. 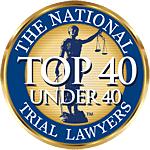 Our firm is unequalled in its dedication to serving injury victims throughout Southwest Florida, and we stand solidly behind our 40-year reputation of success. You pay our firm no fees unless we win.